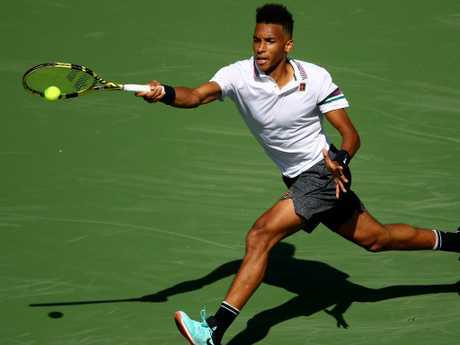 De Minaur wasn't the only seeded player to crash out in the second round as teenager Felix Auger-Aliassime stunned Stefanos Tsitsipas 6-4 6-2 to record his first top-10 scalp. "I was able to serve well and I felt aggressive, pretty solid," Auger-Aliassime said. "Mentally, I felt like I had the edge having beat him three times in juniors when we first met. "I'm able to play well in the big points and the momentum I'm having gives me great confidence." 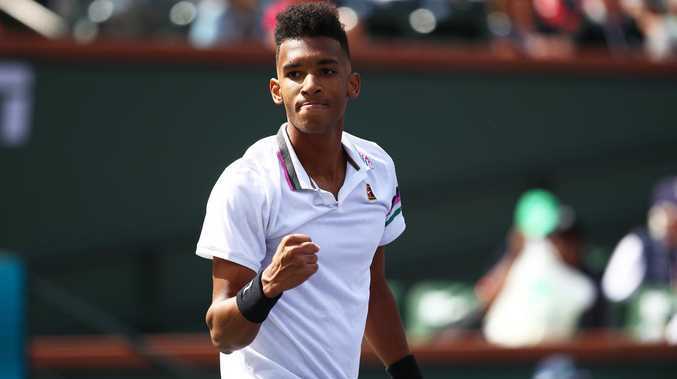 One more victory at Indian Wells will likely see Auger-Aliassime make his top 50 debut next week but he won't be there for long according to Greg Rusedski. Britain's former No. 1 tennis player made a bold claim about the teenage freak after his shock upset, likening him to Rafael Nadal and predicting big things ahead. Auger-Aliassime has all the tools to become a star. "By the end of this year, this guy could possibly be top 10 (in the world), if not the following year," Rusedski said on Amazon Prime. "He's such a specimen and he moves incredibly well. Having spoken to a lot of the coaches in Tennis Canada, they all said to me this guy is the best athlete we've ever seen on a tennis court. "That's a big thing to say." Sports Illustrated tennis writer Jon Wertheim echoed Rusedski's thoughts as a host of other journalists and commentators heaped praise on the young gun. Writing for tennis.com after his opening round win over Cameron Norrie, Steve Tignor said Auger-Aliassime's name will soon be a household one among average sports fans. "The most distinctive thing about Auger-Aliassime's rise so far is how logically and methodically it has played out," Tignor wrote. "He has gone from internet sensation at 14, to US Open junior champion at 16, to one of only two teenagers in the ATP Top 100 - the other is his friend and countryman Denis Shapovalov - at 18. "Even if he weren't producing results like this yet, Auger-Aliassime would be a player to look out for, based on how solid and thorough his technique is, and how poised he remains when things aren't going his way. 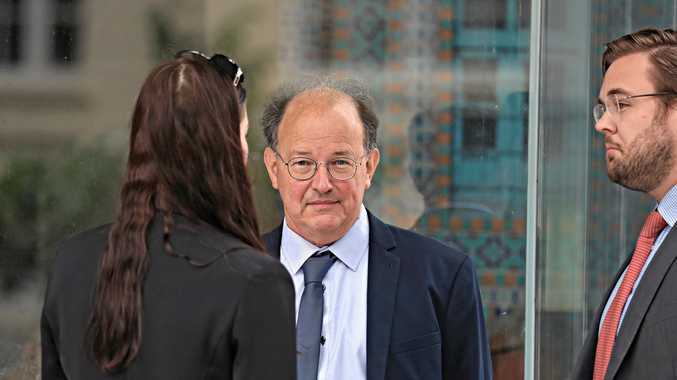 "For the rest of the world, FAA may be soon be a very familiar set of sports-world initials."